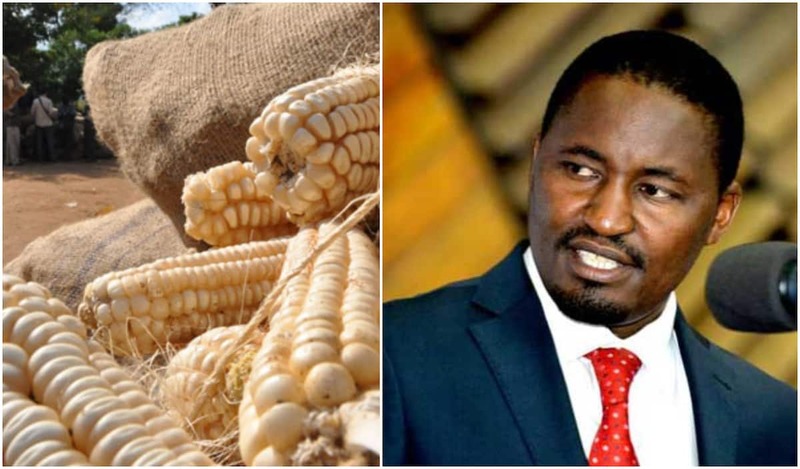 Agriculture CS Mwangi Kiunjuri yesterday said he is ready to resign if his dignity is rubbished over the maize scandal. Responding to MPs at Parliament Buildings, Kiunjuri said he will not accept to be intimidated because he is a family man. Kiunjuri told the National Assembly’s Agriculture committee his dignity matters to him more than being a Cabinet Secretary. “If you ask me today whether I need to be a minister or retain my dignity, I will retain my dignity and walk home,” Kiunjuri told the team chaired by Mandera South MP Adan Haji. The CS said malicious people have been making wild allegations against him on social media. Some have have politicised the maize scandal yet he has already taken action on all the issues raised. “I will deal with them politically. Anyone who wants to attack my person as Mwangi Kiunjuri, please know that I’m ready to defend myself. Let us not attack people politically,” he said. He also apologised to the committee for failing to honour invites four times, saying he was engaged. MPs had threatened to have bhim censured if he missed yesterday’s session. “The last people I would want to disrespect are the MPs because they are the people’s representatives. There are days I’m summoned by the President others by Parliament,” he told the committee. The Agriculture minister was on Wednesday put to task over pending payments to farmers who supplied livestock to the Kenya Meat Commission between 2015 and 2018. About Sh700 million meant for the payment of livestock farmers may have been lost after it emerged that the cash strapped institution has no funds to settle its debts. The amount was approved in 2015 by the National Assembly through a supplementary budget to benefit about 65,000 livestock farmers and their 300,000 dependents but they are yet to get their dues.